A few weeks ago, I wrote a post discussing the resignation of Mozilla CEO Brendan Eich. Eich quit after it was revealed that he supported California's Proposition 8 that banned gay marriage. Now it's HGTV's turn to take the heat. On May 7, the lifestyle network tweeted that they were not moving forward with a reality show hosted by David and Jason Benham, North Carolina twins who flip houses to help disadvantaged folks. While HGTV didn't disclose the reason, it's now widely known that this post on the blog Right Wing Watch detailing the brothers' anti-choice, anti-gay, and anti-Muslim beliefs drove the decision. Predictably, a Twitter campaign under the hashtag #FlipThisDecision has been launched, and HGTV has come under fire for their decision. It probably won't work. Social media is profoundly changing how brands approach social issues, and companies ignore this shift at their peril. Consumers want brands to have values and stand by them: In this case, nearly 60% of Americans now support full marriage equality, and media and consumers are increasingly intolerant of beliefs that are perceived as racist and bigoted. I suspect HGTV knows exactly how their core viewer feels about diversity, which makes the decision to green light the show at all puzzling. On the flip side, Chick-Fil-A and Cracker Barrel have also successfully channeled their core consumers' beliefs. This trend will only accelerate. Digital and social media are the new watchdogs: HGTV has known about the Benhams' statements for more than a year, and no traditional media outlet reported on them before the news broke on Right Wing Watch. It's clear that bringing digital leaders into the decision process early needs to happen in more places, more often. There is nothing here that was a surprise, and this controversy should have been spotted a mile away. Brands need to realize that we're now living in a world of heightened scrutiny, and that investigative work can be done by anyone with a computer and some free time. The days of carefully managing friendly (and even not-so-friendly) journalists is over. Media needs a "daily outrage": As I mentioned above, this was a non-event until Right Wing Watch created a social movement. Mainstream media then reported on that social campaign, creating a much larger (and ultimately effective) media cycle. The 24-hour news cycle thrives on the "daily outrage" and, with plenty of sources to choose from, all brands should expect to get hit eventually. Every business leader should think about what just happened: a little-known blog succeeded in getting a series cancelled in less than week, before it ever hit the air, and after it was halfway through filming. If social media can topple dictators, it can topple a business. If you don't have a social listening center and a robust social strategy that includes a vetted issues management plan, you need to get one fast. The Eich disaster, the Duck Dynasty kerfuffle, and now this fiasco make clear that no one in business or entertainment can expect privacy of personal belief. We urgently need to settle as a society where our fundamental freedoms meet our professional lives. Until then, we're living in the wild west and marketers need to get ready. 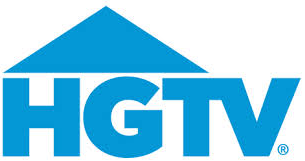 It really is amazing that HGTV knew about the Benhams statements for more than a year and no one at the company could envision that those statements would eventually blow out into the open. Setting aside the potential PR imbroglio aspect, what does it say about HGTV execs that THEY knew what the Benhams had said? Re "no one in business or entertainment can expect privacy of personal belief": Your personal beliefs aren't private if you go around blabbing about them. Yes, it's easier, in our hyper-connected digital age, for personal beliefs, both those deemed noble and those deemed distasteful, to be surfaced and brought to wide attention. But those beliefs still need to be vocalized or manifested outwardly in some way. Otherwise there's nothing to spread. No "there" there. Human nature being what it is, it turns out that someone's personal beliefs pretty much always do end up manifesting outwardly in some way. The takeaway for marketers is as you suggest: Know who you're getting into business with before you do too far down the road with them. It really is amazing that HGTV knew about the Benhams' statements for more than a year and no one at the company could envision that those statements would eventually blow out into the open. Setting aside the potential PR imbroglio aspect, what does it say about HGTV execs that THEY knew what the Benhams had said? Human nature being what it is, it turns out that someone's personal beliefs pretty much always do end up manifesting outwardly in some way. The takeway for marketers is as you suggest: Know who you're getting into business with before you go too far down the road with them.